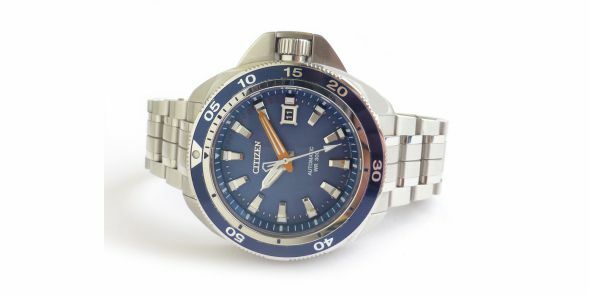 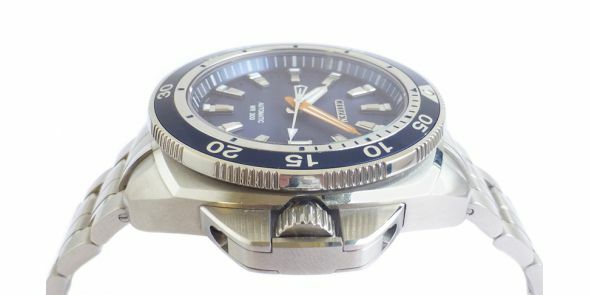 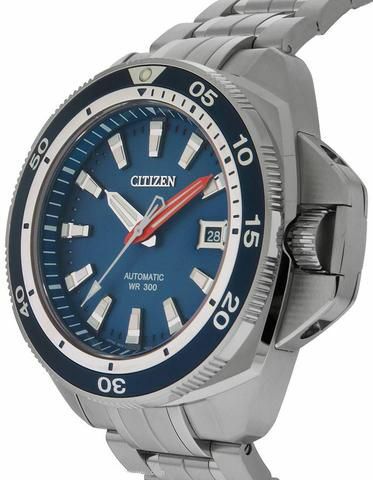 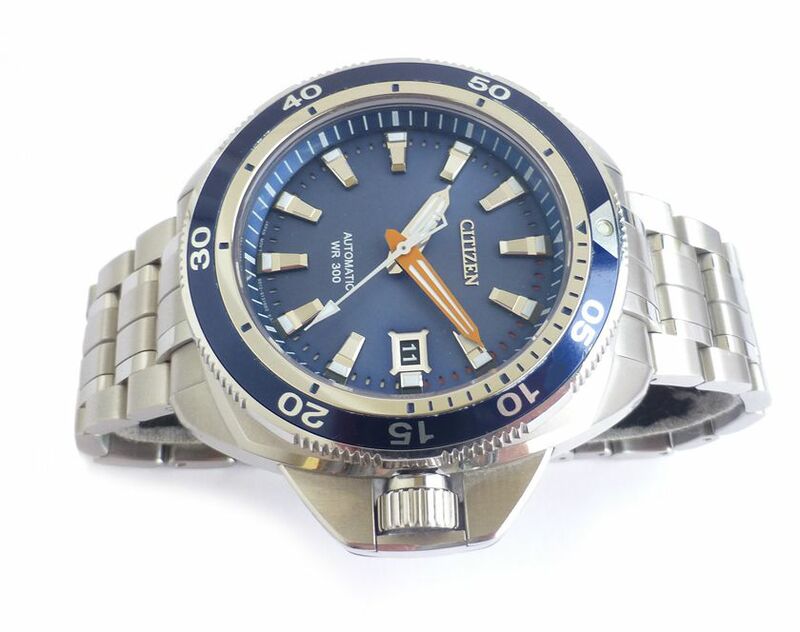 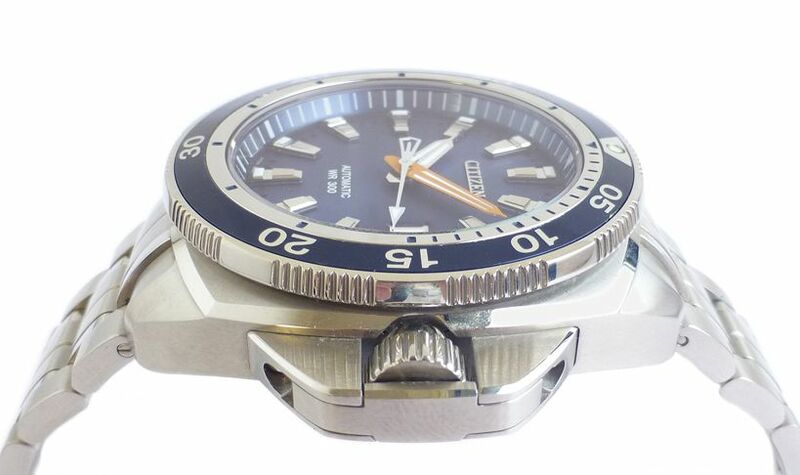 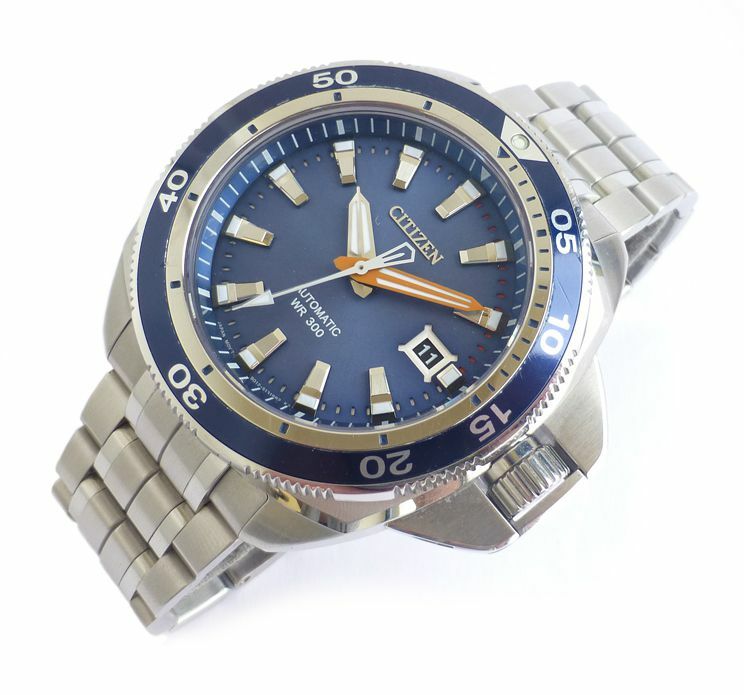 New looking condition top of the range, no compromise quality Citizen Signature Grand Touring divers watch with striking blue dial and steel case. 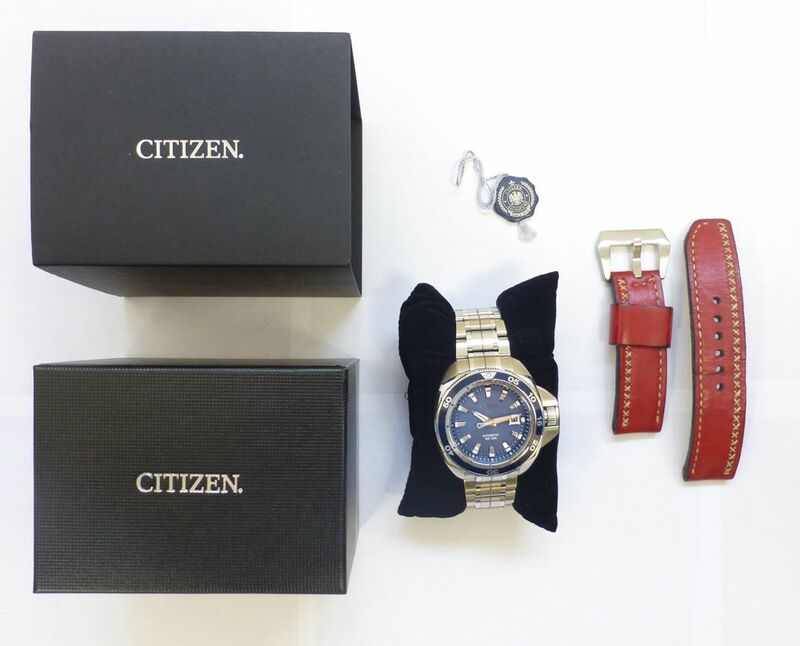 It comes in the original box with hang tag, on the original bracelet with Delaurian handmade red leather strap. 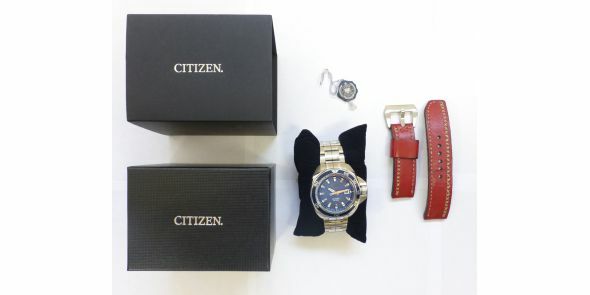 Rich character and attention to detail helps magnify the Grand Touring Sport collection. 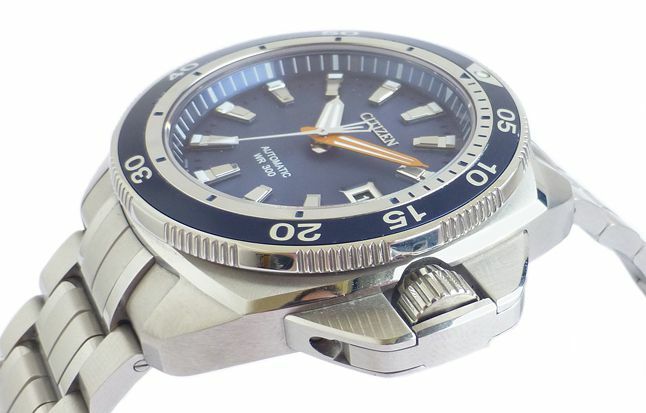 Dual-coated anti-reflective sapphire crystal showcases the design details on the dial while the sapphire crystal exhibition case back allows the wearer to admire the beauty of the engraved movement. 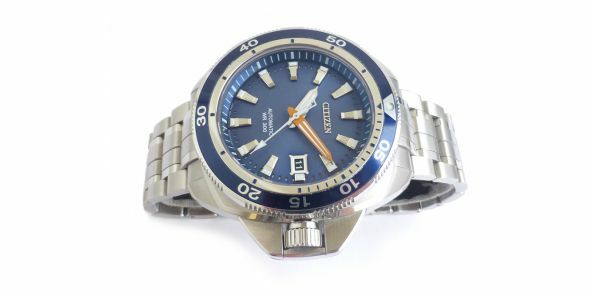 In a stainless steel case and bracelet with blue dial. 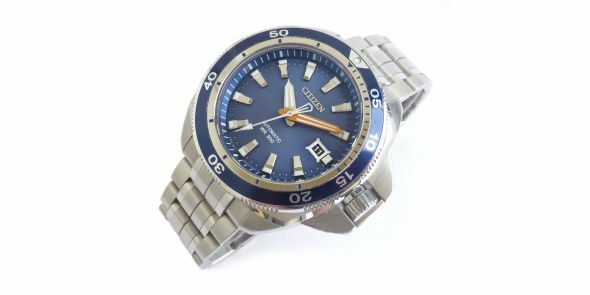 This Sports watch for men is the first in the collection to have a 300-meter water resistance thanks to the new screw-down crown. 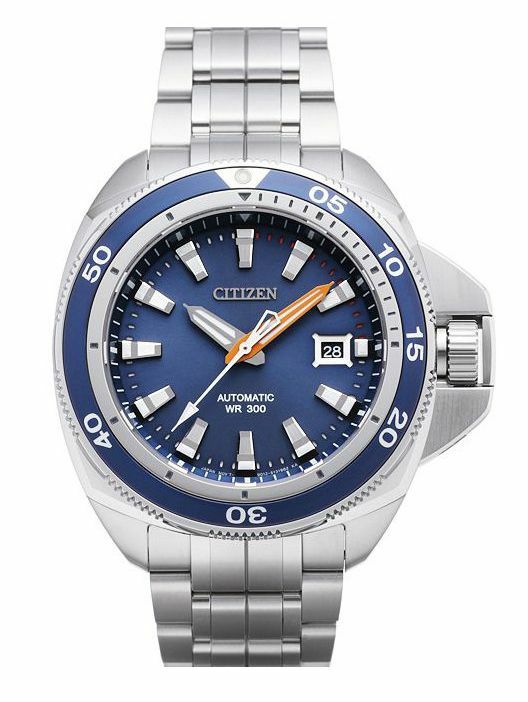 In typical Citizen style, the NB1031-53L is also very appealing to the eye, and can be worn in a wide range of situations such as with business wear, formal, casual and as a sports watch. 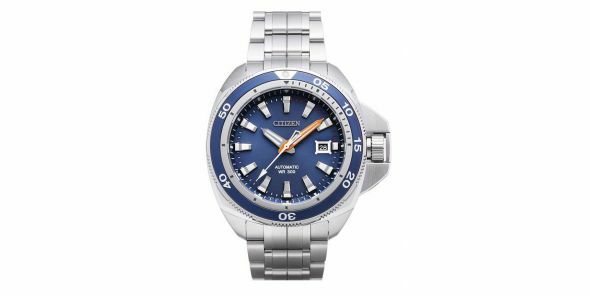 Stylish yet subtle, the NB1031-53L features a blue 60-click uni-directional bezel with matching blue dial and orange highlights. 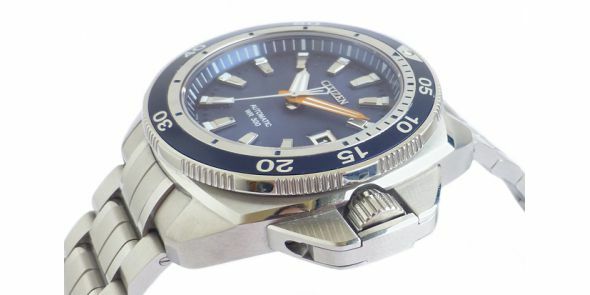 It also has luminous indexes and hands for total functionality even when underwater. 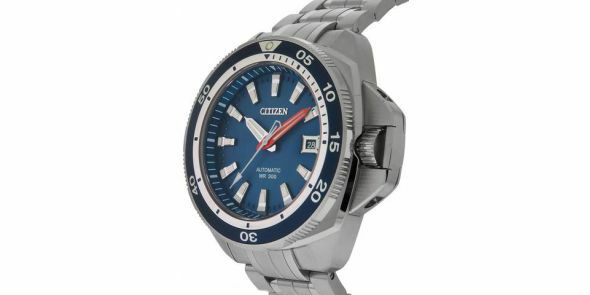 The dial is very easy to see and it’s clear to read the time even at a quick glance. 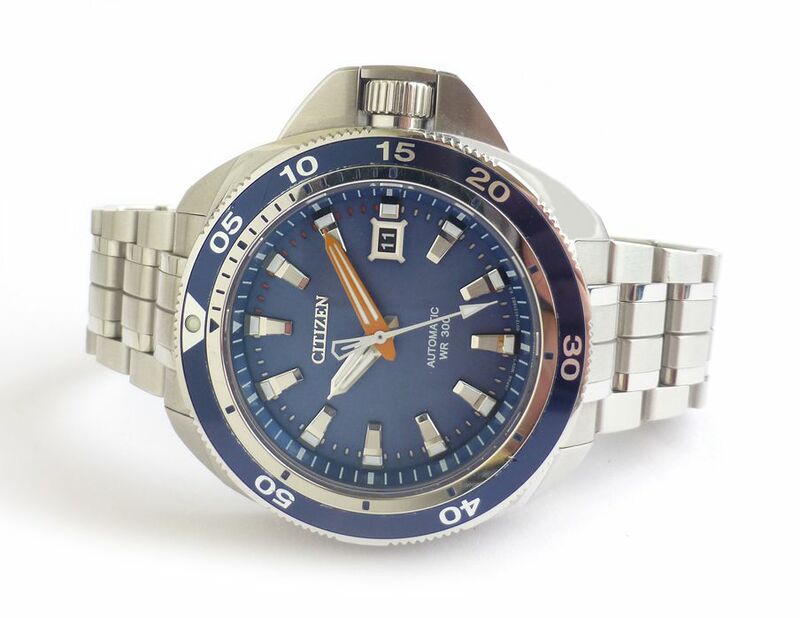 The colour scheme of the blue dial against the stainless steel band and case is very stylish, it really does go together so well. 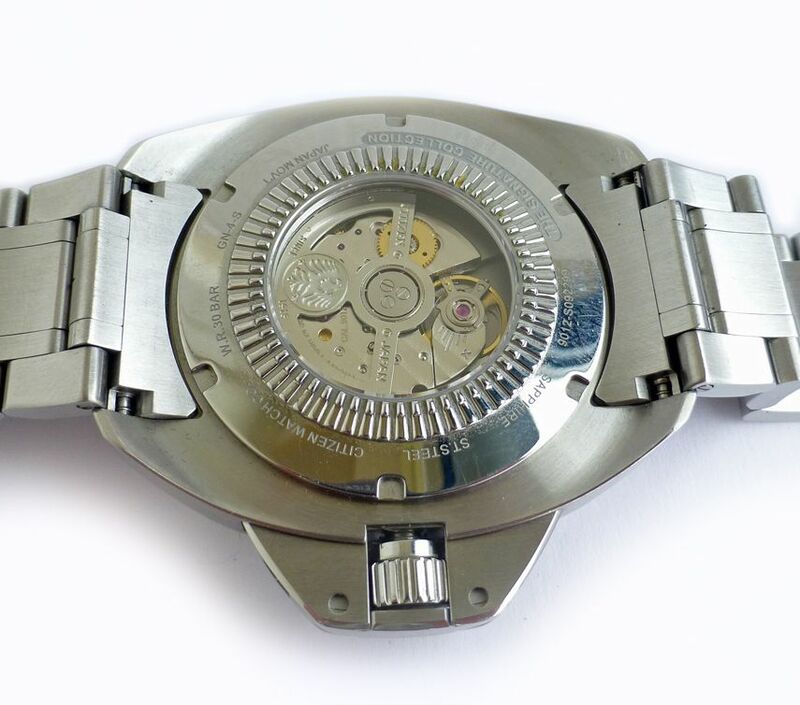 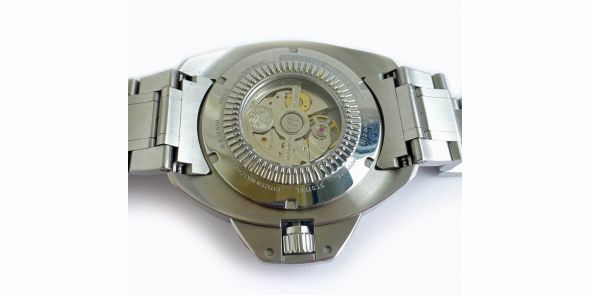 Dimensions are: width 45 mm excluding crown, 52 mm including crown, lug to lug 50 mm and 14.5 mm thick.